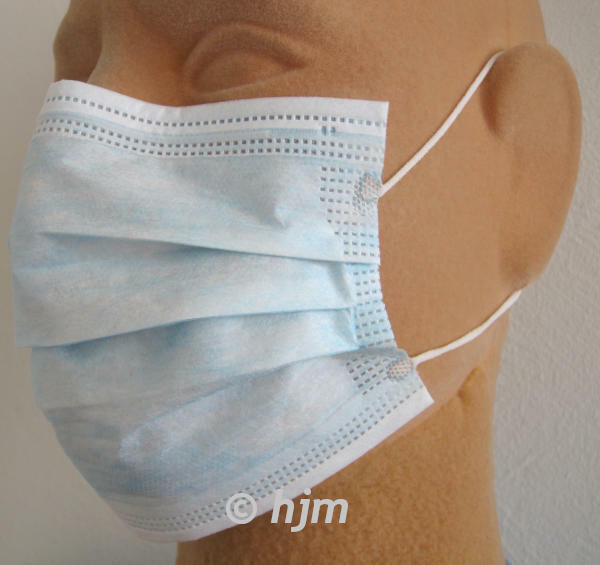 To meet special cleanroom requirements often cleanroom hoods and face masks are needed. They keep off particles like hair and dandruff away from the products. 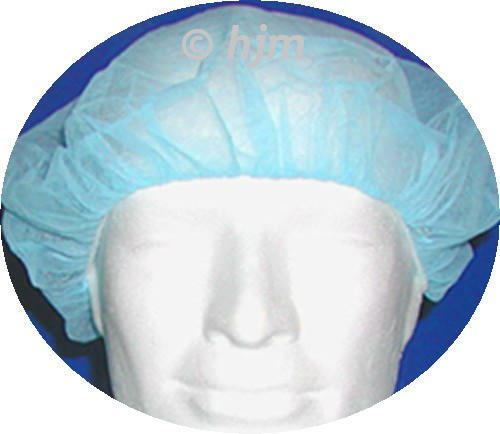 EHJOY-R-W Cleanroom hood: Made of Polypropylene, with elastic band, size 21" 6 White 1.000 pcs. 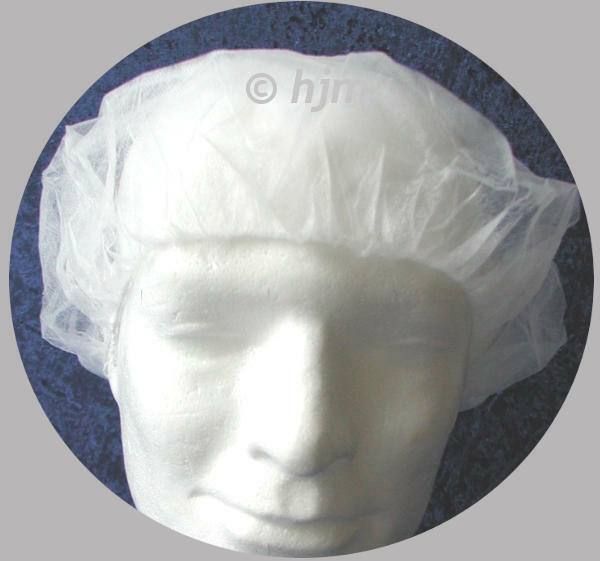 Cleanroom hood: Made of Polypropylene, with elastic band, size 21"
EHJOY-XL Cleanroom hood: Made of Polypropylene, with elastic band, size 24" 6 White 1.000 pcs. 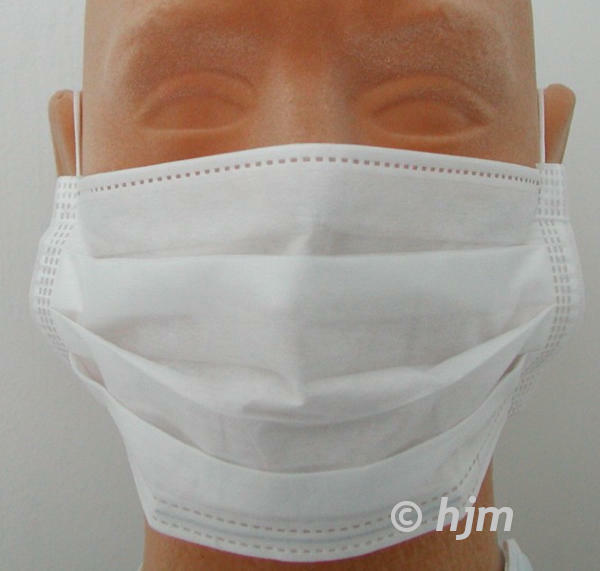 RGES320001 Cleanroom face mask: With earloops, length 210 mm 5 White 50 pcs. hydrophilic inner layer, to tie 4 White 500 pcs. hydrophilic inner layer, with earloop 4 White 600 pcs. 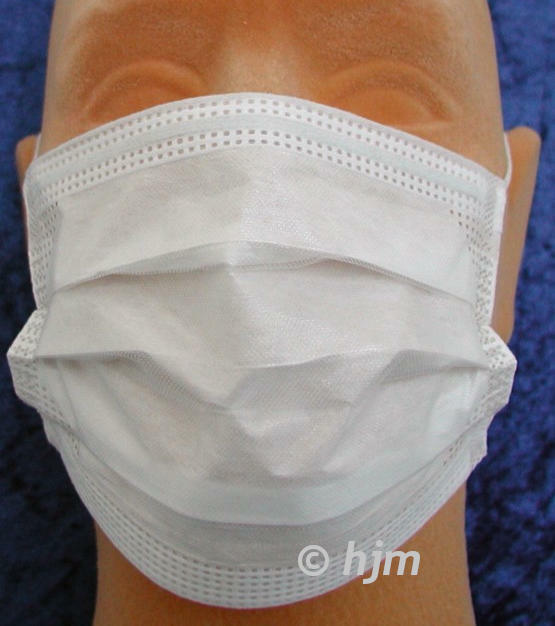 RGES75501G Cleanroom face mask: Nose piece, 3 layers, made of PP-fleeche, inside Viscose, soft, to tie 7 Green 50 pcs. 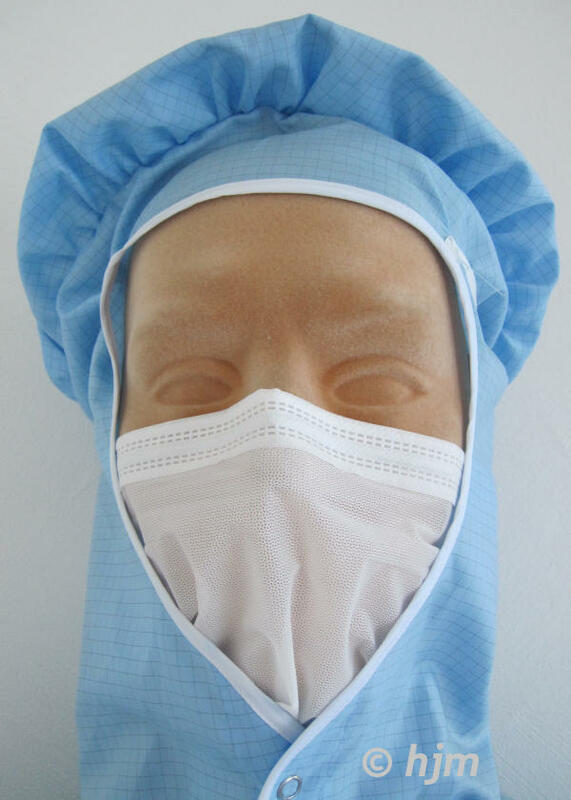 RGES75503B Cleanroom face mask: Nose piece, 3 layers, made of PP-fleeche, inside Viscose, soft, earloop 7 Blue 50 pcs.